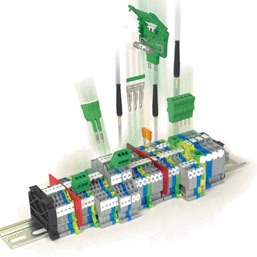 In the May Edition of ASI's Tech News we want to advise you on several unique and useful products that range from Control Relay terminal blocks to Custom Rail Assemblies. We strive to offer a wide range of solutions which allows the user many choices when qualifying and specifying components into control systems and equipment. Please consider the information contained herein and feel free to contact one of our product specialists to address any questions on our products and/or services. We are happy to assist whenever the opportunity arises. ASI DIN Rail Terminal Block Relays for Industrial Control. ASI is pleased to offer over 40 Different Models of Pluggable PLC Relay Terminal Block used to interface between automation equipment and auxiliary systems. ASI's popular models incorporate both Standard & Economic Low Profile versions in SPDT, DPDT & Solid State types. For example, our ASI328003 is a space saving 6 mm wide PLC Relay Terminal Block rated at 24 Vac/dc input, 250 Vdac/30 Vdc, 6 Amp output, SPDT. Whereas our ASI317003 is also a 6 mm wide terminal block base equipped with a pluggable solid state relay rated at 24 Vdc input, 48 Vdc, 3 Amp output. All ASI Relay Terminal Blocks mount on standard DIN Rail and have pluggable relays with locking ejector for easy replacement. 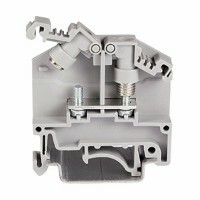 Screw clamp or spring clamp technologies allow for easy to install wire terminations. The relays are equipped with red LED status displays, as well as polarity protection diodes and inductive kickback protection as standard features. 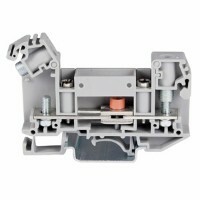 An easy to view and read wiring diagram is included on the side of the housing. For signal distribution, pluggable jumpers make bridging common inputs and outputs simple and will save on labor and wiring costs. Bridgeable jumper bars are also available and can be cut to fit many lengths. When you are seeking relay terminal blocks that require versatility, will match up with well-known competitive relays, consider ASI brands and you will not be disappointed. You will also be pleased to learn that quality products from ASI are available at very attractive price points to save money to further invest in your initiatives. ASI's DC UPS Provides Protection and Peace of Mind. Are you in search of a High Performance, DIN Rail DC-UPS? 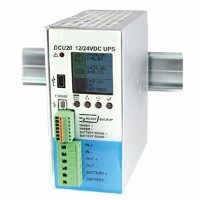 ASI offers the ASIDCU20, a unique microprocessor controlled 20 Amp UPS and battery charger for monitoring voltage on 12 and 24 volt power supplies. In the event of a power failure or interruption like overcurrent, deep discharge and reverse polarity, the backup battery kick-ins to protect the load. This attractive device offers an easy to read front panel including LCD display, USB input, Input, Output and Battery wire connections. It is easy to configure and monitor either directly on the unit or remotely through the USB port. All this capability and versatility is housed in a quite sturdy, well ventilated aluminum housing for maximum efficiency. 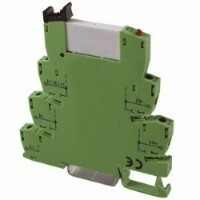 The unit is easy to mount on any standard 35 mm DIN Rail. Feel free to contact an ASI Product Specialist to discuss your unique requirements and have us provide you with the best possible solution for great results! ASI's Hazard Proof UBJ2-OT Series Ring Lug Terminal Blocks for SECURE connections in Electric Utilities, Switchgear and Electrical Panels. 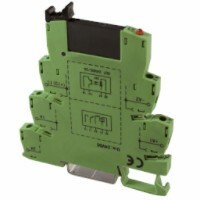 ASI has recently released the UBJ2-OT Series of DIN Rail Mounted Ring Lug Terminal Blocks, which provide secure connections in tight, critical applications. The compact fully enclosed design and unique Hinged Locking Cap guarantees you quick and easy wiring of ring or fork type terminals during installation or service. ASI's UBJ2-OT Series meets the product specifications of the popular OTTA Series that is found in the market today. ASI offers a wide range of Ring and Fork Type Terminals and the associated Crimp Tooling when crimping terminals is required. Furthermore, you will benefit from 20 to 50% cost savings when selecting ASI Products to fit your requirements. ASI's - DIN Rail Assemblies. Did you know that ASI can provide a Value-Added Manufacturing Service when your systems require DIN Rail products? Perhaps your applications call for various types of products and components to be mounted on DIN Rail within your Panel/Enclosure. Or maybe your production manufacturing capabilities are limited for whatever reason, let us be your partner. We are happy to provide you a Consolidated and Fully-Assembly DIN Rail Assembly, that can be dropped directly into your system upon arrival at your facility. When you consider ASI as manufacturing partner, you will be choosing a partner who understands the market requirements for reliability, timeliness and service that is expected from valued suppliers. 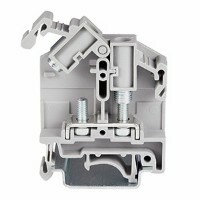 Additionally with ASI competitive prices, you will be pleasantly surprised when quoting DIN Rail Assemblies. If product reliability and minimizing inventory costs are paramount to your operation, consider ASI DIN Rail Assemblies. ASI offers a ONE-STOP SHOP Solutions Partner for DIN Rail Components and Assemblies. Call us today to hear how we can help. 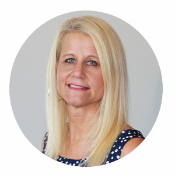 Recently, Lisa is part of the ASI Marketing Team. She works diligently making sure your experience on ASI's website is EZ for you to find the best value in automation, control and power products.